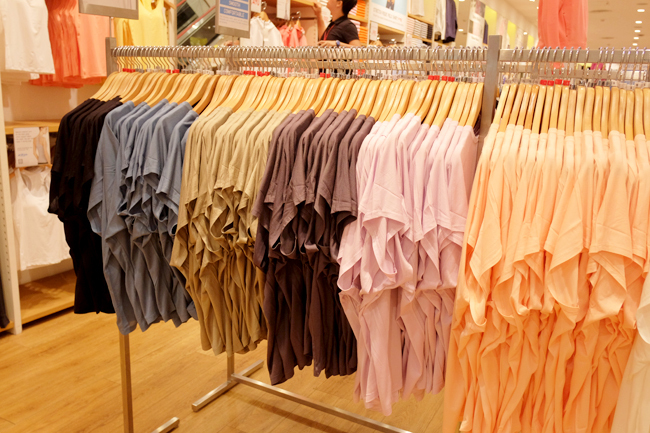 Who's not addicted to Uniqlo? I personally can't leave the store without a bag (or two) in my hand. It's the combination of high quality fabric, great tailoring + affordable price that I can't resist. Their new Sports line is no exception. Made with AIRism + DRY EX technology, the new collection isn't just made up of great functional pieces for working out but they also fit in perfectly with our contemporary lifestyles. Check out the photo dump after the jump to see my favorites! First up are these basic round neck tees that are loose and comfy but slightly tapered towards the hips to add shape! LOVE THESE! Got them in several colors because the fabric is glorious and can be easily dressed up with a nice skirt! 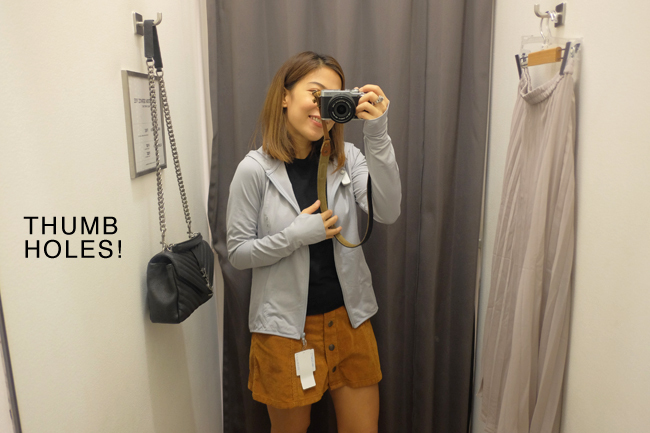 Only P590! COMFORT BRAS - which surprisingly fit me well! I have such a hard time finding sports bras that fit well and provide support. I wasn't expecting much from these but when I tried them on, wow. 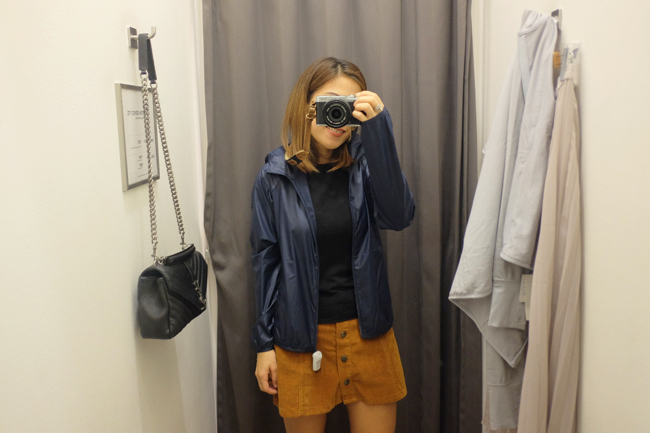 I also liked this parka that comes with a pouch and is perfect to take along daily especially now that it's starting to rain. And there's the sports bra! And these joggers which I instantly fell in love with the moment I slipped them on. 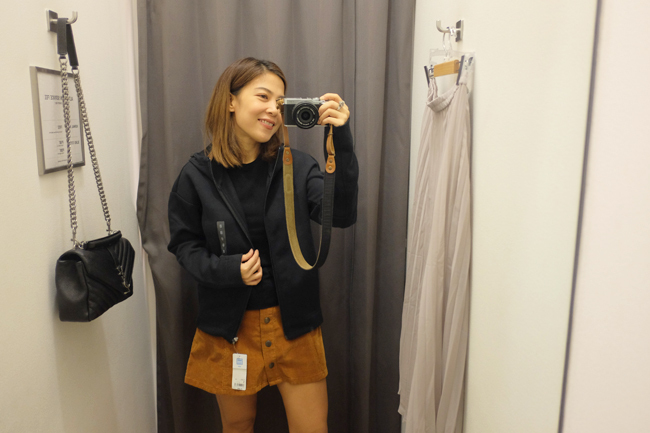 COZY + FLATTERING even for girls like me who've been slacking off and are quite soft around the mid section! :P It doesn't make your bilbil bunch up. The DRY EX x AIRism shirts in action! Nice right? Black version of hoodie with thumb holes...MUST HAVE! 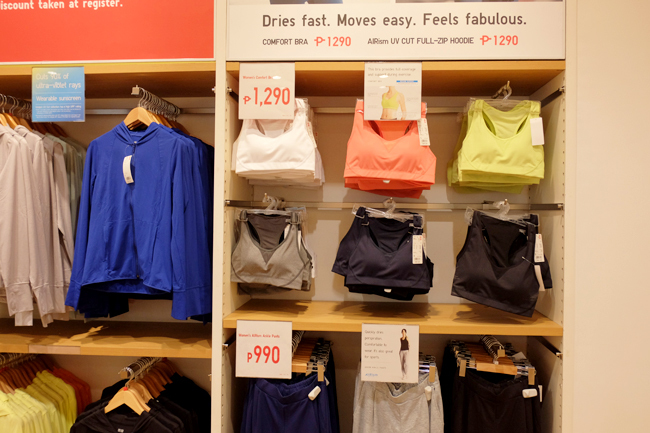 Check out UNIQLO SPORTS at all Uniqlo boutiques nationwide! I love Uniqlo too. Sturdy material and reasonably priced. Those are wonderful picks. 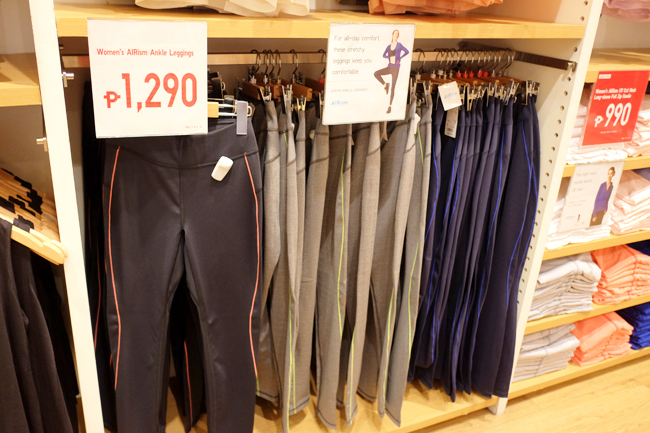 I love Uniqlo too, they are comfortable to wear. 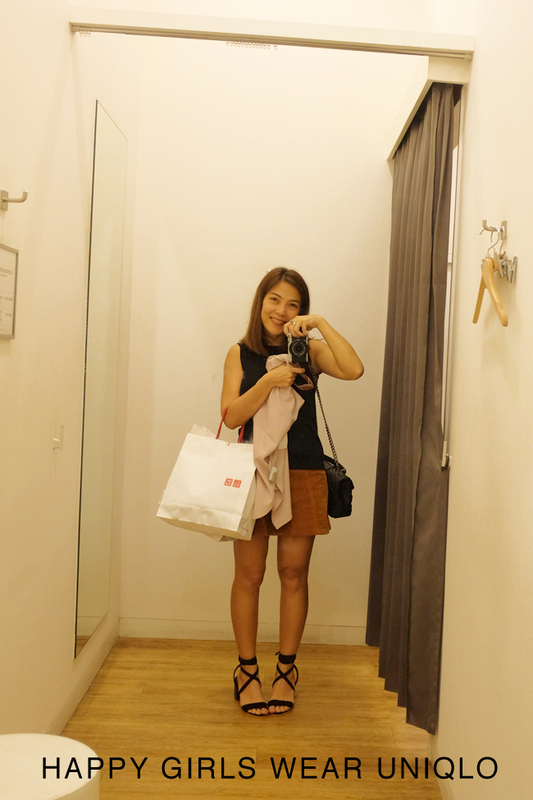 I love your outfit :) Uniqlo is indeed a must visit! 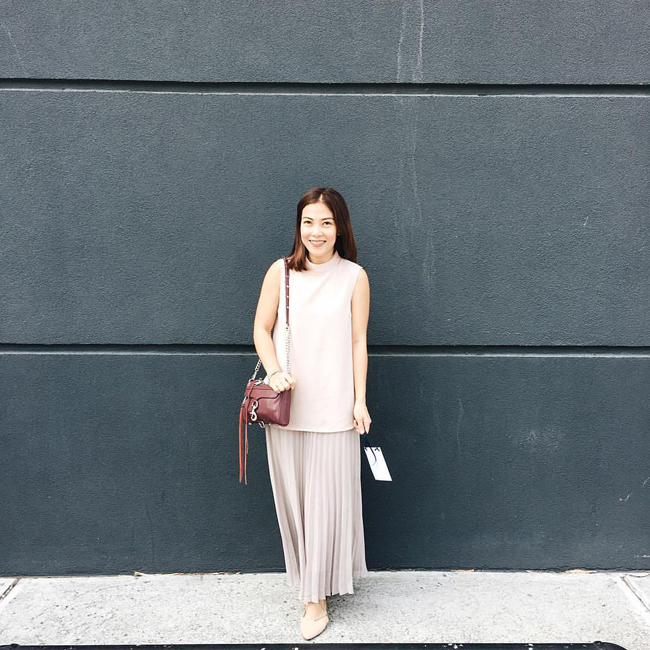 Love your pleated skirt. Well, everything youve tried look beautiful on you. We now have a Uniqlo branch near us. I must add a few items from Uniqlo to my closet. Nice bra! Will check em out! 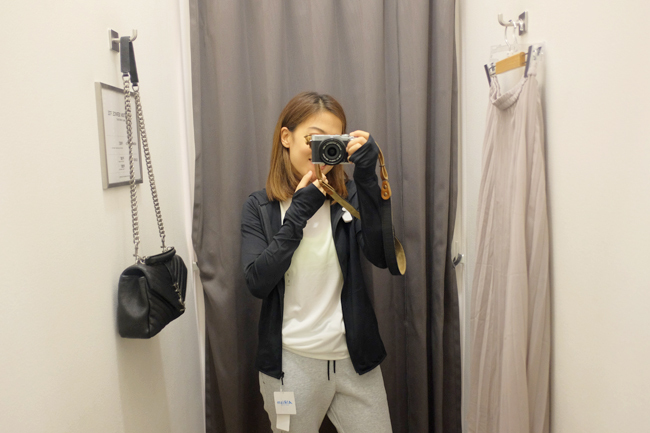 Will go to Uniqlo the next time I go to the mall and check out those new items. Kahit ano suot mo maganda, promise! The sports bra with the joggers look incredible on you. Bagay! Let me just say how you can't go wrong with uniqlo. Even the thicker fabrics that they use are still comfy in this weather of ours. :) love the thumbholes! Perfect for people like me who's not very friendly with the cold.